Cash Flow and Budgeting Analysis are most likely one, if not the most important factors when it comes to creating and maintaining a business. It’s what makes you go from being an “amateur” to a professional and successful firm. Undeniably, these cash flow statements are here to track and record the most important financial statements for your emerging business. In fact, it is known that good cash flows have many advantages such as possibly improving your business liquidity and even increase profitability in certain cases. Budgeting Analysis is the most prominent way to help your businesses with financial decisions. What these analyses do is summarize your costs, revenues, income, risks or benefits from particular investments or activities. 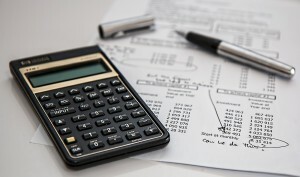 The analysis is crucial to any business, whether or not it is a start-up or an established company because it’s important to always spend your money in an intelligent fashion in order to avoid overwhelming debts, going bankrupt or having serious legal issues that can harm your company’s reputation, or worst yet make it plummet to the ground. Budgeting and Cash Flow Analysis are crucial but can become overwhelming for certain people especially if you are a start-up brand or firm who is new to the business world or an individual who has never been an entrepreneur before. Budgeting as a whole can be very complicated, so it’s easy to get lost in the midst of all the different financial calculations and problems that come with building a business. Not to mention that all these cash and budget forecasts only get worse and more prominent the more your business begins to grow. In other words, the more popular and fruitful your business becomes, the more financial activity you will have to manage. That is why budget analyzing is the perfect solution for businesses that are just starting up or that are already very successful and booming. This type of analysis is also important for those who run their own private business. Just because your company is not public does not mean you shouldn’t be aware of its financial situation. In fact, private companies need budget analyzing even a bit more since these firms are most of the time already low-budget and need as much help as they can get from professional cash analysts. Unfortunately, many who run their own business (especially private ones) believe they know what’s best and want to make financial decisions without first analyzing their company’s financial situation beforehand. However, cash and budgeting analysis can only bring help to your business or firm. It is created so that you, the owner of the business can understand when and how to spend your money. It’s also necessary to make certain financial investment decisions that will work in favor of your business. With our cash flow and budgeting analysis services, your budget, spending, debts, loans and any other financial activity will always be carefully looked at as we guide you and your firm to financial success.